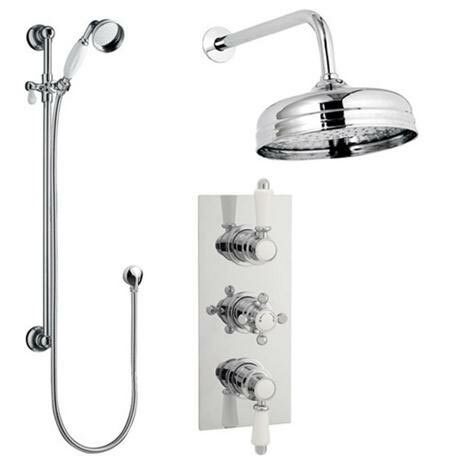 All kits include sliding rail, outlet elbow, shower hose and shower head. Q. Is there a third divert option? Hi, for a third divert option you would require a triple valve with diverter. This would work with a wall mounted bath spout. Hope this helps. Q. How do you fit the Wall mounted Fixed head Shower? It depends on your bathroom, really. Some customers will channel the wall to fit vertical piping and an elbow to turn the piping. Others will use baton and board to create a false wall. Gorgeous addition to my shower and bathroom - great service and value for money. Highly recommend!